When I want to have a good catch up with someone, my ideal situation is to meet over afternoon tea. 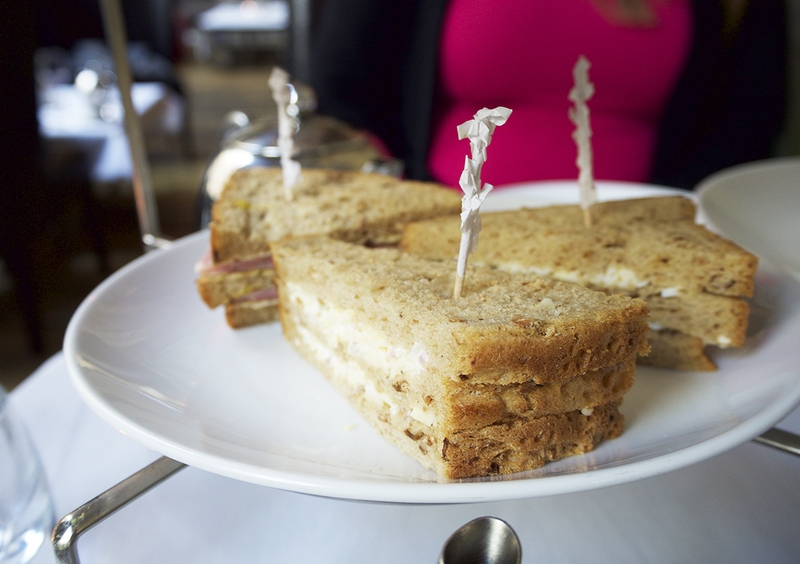 Cute little sandwiches, all the cake you could possibly eat and more tea than you could possibly need. 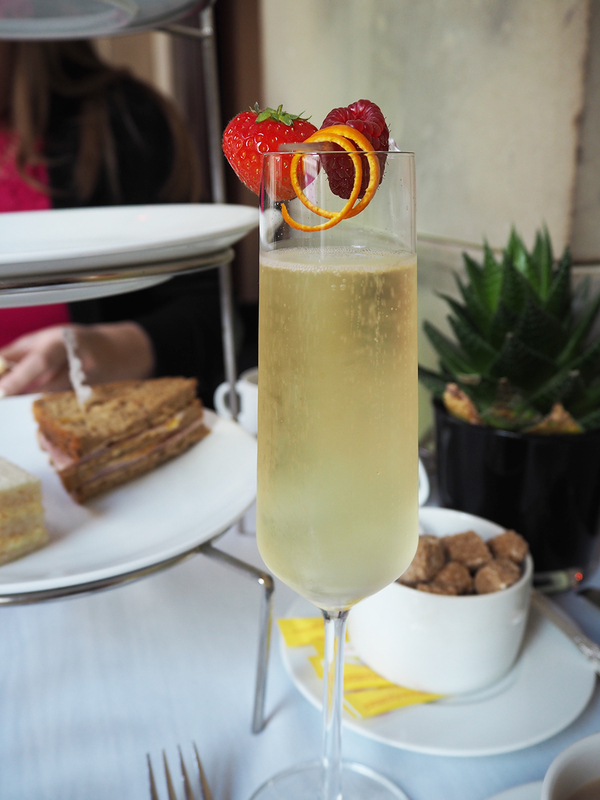 I have only been for afternoon tea at two places in Manchester that I would recommend over and over again: the Great John Street Hotel (check out my experience here) and Opus One at Radisson Blu Edwardian. The latter kindly invited me to their spa, Sienna Spa, for complimentary spa treatments and afternoon tea for two at Opus One. It was the perfect opportunity for a catch up with Mat’s mum, especially considering the stressful few months she’d had at work. 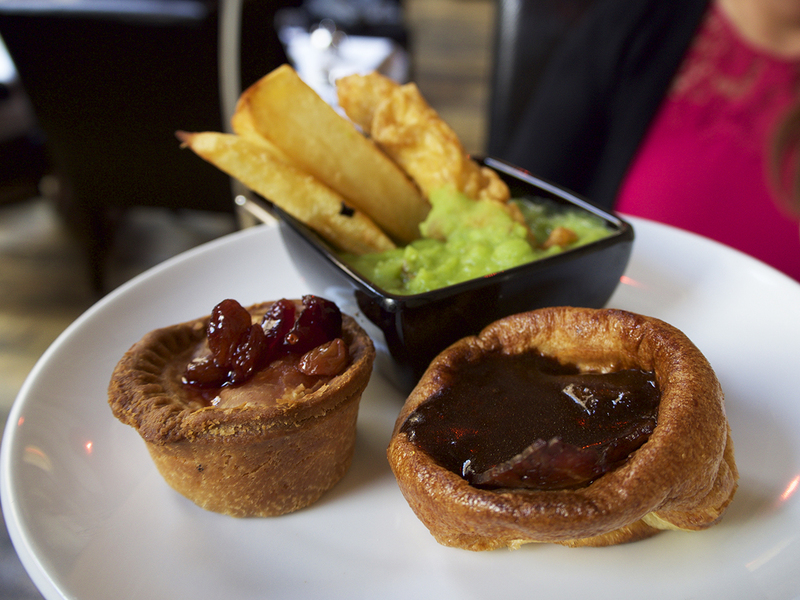 Traditional or Gentlemen’s Afternoon Tea? Once we had settled down in our armchairs in a dedicated afternoon tea room, which has huge windows, high ceilings and is absolutely flooded with natural light, we made the all important decision: gentlemen’s or ladies afternoon tea? 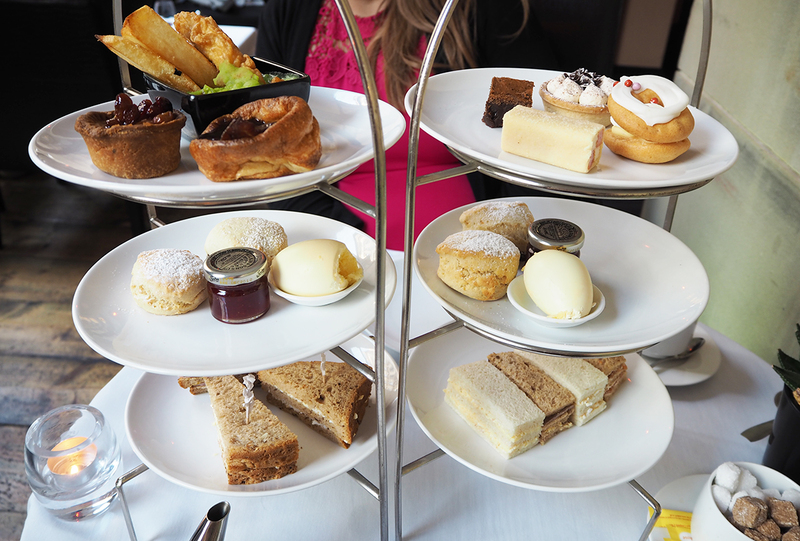 They offer two selections, the traditional afternoon tea is a classic selection of sandwiches, scones and cakes, whereas the gentlemen’s afternoon tea substitutes the cakes for even more savoury goodness. It’s definitely not restricted to men though, as we were encouraged to try it by our lovely server. I’d had both on my last visit so we opted to try one of each and share it all between us. The top tier is a particular highlight of the gentlemen’s afternoon tea, as we had a mini hot Yorkshire pudding, warm pork pie and mini fish & chips. The sandwiches are also slightly more ‘rustic’ than the clean cut, crustless variety in a traditional afternoon tea, but equally delicious! 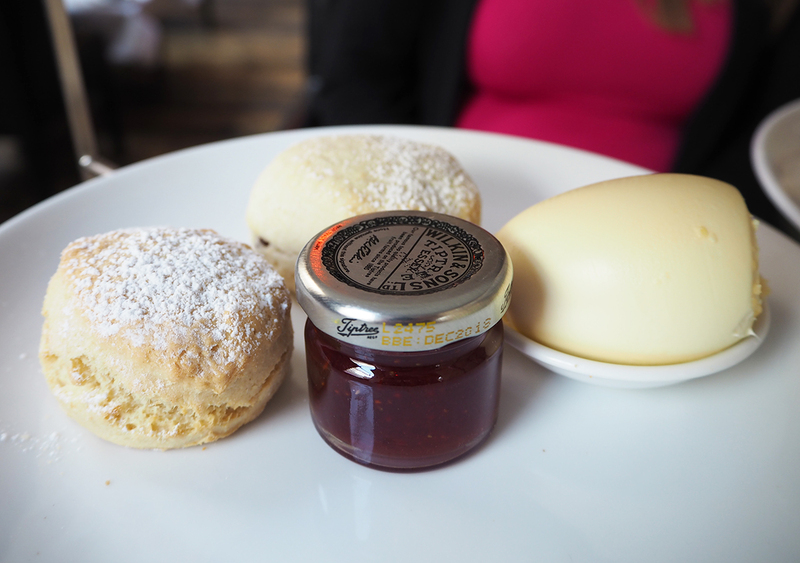 A staple of any afternoon tea, and something that can be hard to get right, are the scones. 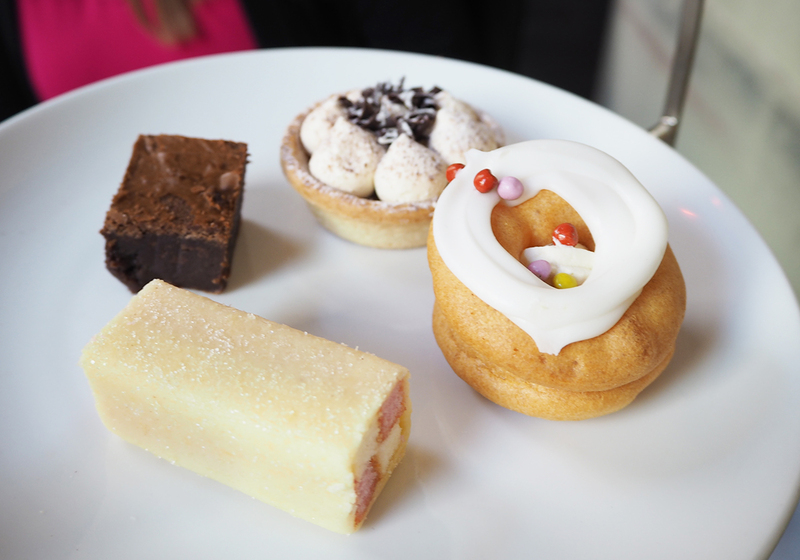 At Opus One, they are homemade and freshly baked each day and you can really tell when you bite into one! They’re mini, not full size, scones but I much preferred them as minis because it leaves more room for cake! That being said, we still didn’t manage to finish all of the cakes! Personally, I thought the cake selection was a bit hit and miss and I only really enjoyed the chocolate brownie. It was a super fudgy and chocolatey brownie though and ended a delicious afternoon so perfectly. 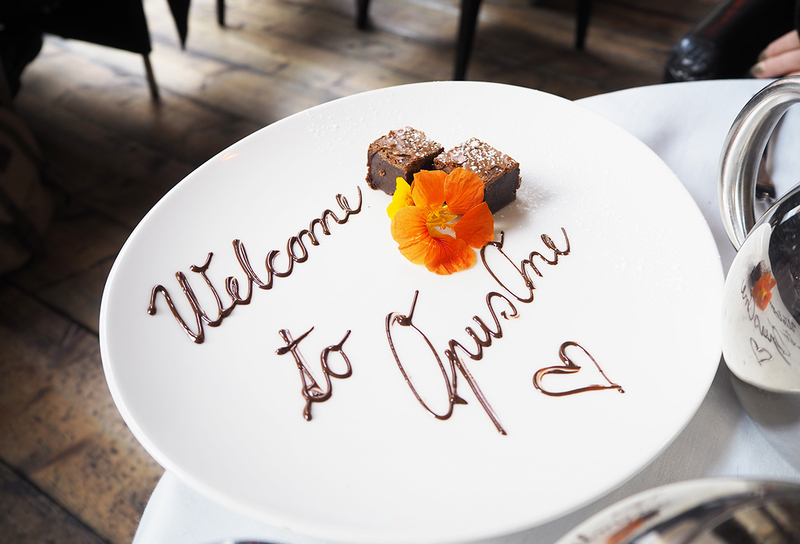 As a special treat, the manager also brought over two glasses of champagne and, just when we thought we couldn’t possibly eat anything else, ANOTHER BROWNIE! It was too beautifully presented not to eat, so I took one for the team and ate that delicious little brownie. As if afternoon tea wasn’t enough of a treat, we were also invited to the hotel’s spa, Sienna Spa, for a facial treatment each. 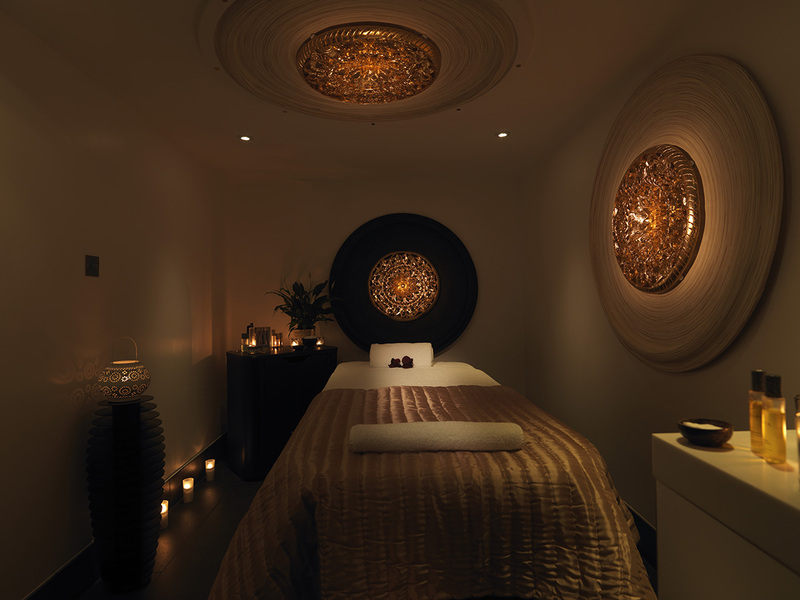 We both chose the Skin Solutions facial, which is tailored to each individual’s skin type and needs. I’ve had a facial once before and I found it good but essentially it felt like I was just going through my own skincare routine at home. This facial was so much more in-depth right from the moment I sat down. My ESPA therapist chatted to me about my skin but also gave me two different options of scented oils, which turned out to be the perfect choices for my skin’s needs. It was very strange how I could pick the right products based on scent alone! She also used a machine that would analyse my skin and I held up a mirror whilst she showed me each of my problem areas and what the colours represented. Fascinating stuff and much more technical than I’d have thought! The facial itself was actually more relaxing than any spa treatment I’ve had before. It was 60 minutes of pure bliss! We both floated from our treatments straight into the pool for a leisurely swim and came home feeling on top of the world. I’d really recommend Opus One and Sienna Spa as the perfect place to treat a loved one to some well-needed relaxation. 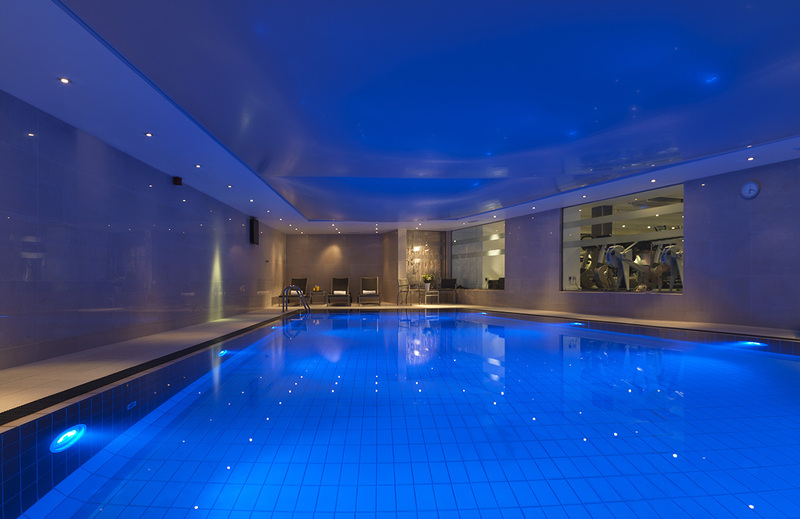 You can find the special offers for Sienna Spa here. Have you visited Opus One or Sienna Spa? Previous Post: « Ski Explorer – The Reveal!